Children transfer to the Junior Department in Year 3 after completing Key Stage 1 SATs test in Year 2. Here they embark on a four-year course of development that leads to the Key Stage 2 SATs test at the end of Year 6, a development in their social skills, and a gradually maturing approach to the learning process itself before transferring to secondary education. 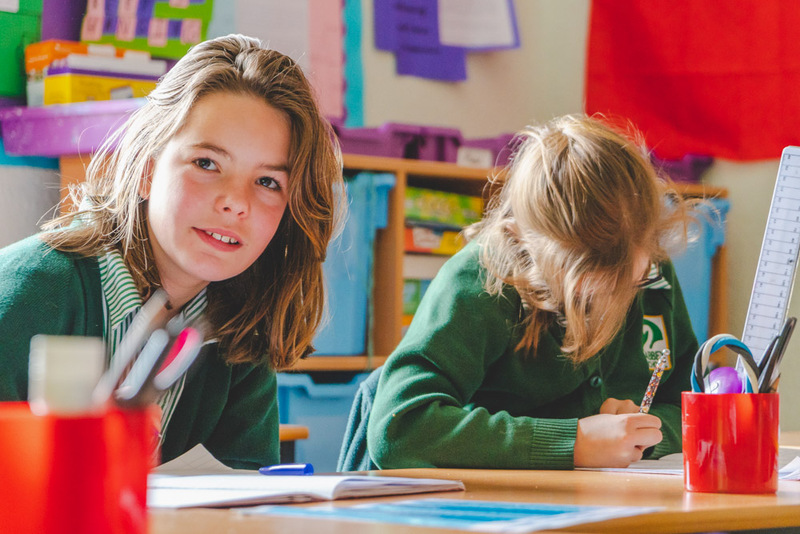 To learn about the proven educational programme that we offer our Junior pupils and how your child will benefit, you will need to visit us and can arrange this by emailing us or telephoning 01803 327868. However, for your information, the following paragraphs explain an outline, other than academic, of what Abbey School offers our Junior children. Children transfer to the Junior Department in Year 3 after completing Key Stage 1 SATs test in Year 2. Here they embark on a four-year course of development that leads to the Key Stage 2 SATs test at the end of Year 6, a development in their social skills, and a gradually maturing approach to the learning process itself before transferring to secondary education. Many pupils sit the 11+ examination for grammar school entry or the common entrance examinations to Public School. These choices are down to parents but we are always on hand and happy to advise. During these vital four years at Abbey School, each child is monitored not only for academic achievement, but also for appropriate development in physical and social skills, as well as in the norms of maturity expected in this age group. Having said this, it is important to remember not to place too much credence on a single measure at a single time; children progress at amazingly different rates. For this reason, assessment is sensitive and regular. The experience and skill of our teachers will guide you through this somewhat confusing time! Throughout school life children learn to get on with others, and as they grow, they begin to establish cooperation as a means of negotiation and progress in social situations. As an Abbey junior pupil, your child will gradually be encouraged to leave behind the self-centred concepts of earlier years. We provide many opportunities for children to learn the skills of co-operation, including encouraging team games, both physical and cerebral, playing an instrument in our school orchestra and participating in annual productions. As well as enjoying their own success, children are encouraged to appreciate the efforts of others in the celebration of personal achievements during assemblies and through the celebration of performing arts in our annual Eisteddfod. From the young and gap-toothed seven year old, to the mature, helpful and responsible eleven-year-old, is a smooth and thoughtful transition that is engineered by caring professionals who know what to expect and have had years of experience with junior children and their idiosyncratic development. At the end of Years 3, 4 and 5, Abbey children sit interim SAT’s tests. So that they are not distressed or perturbed by the experience, these tests are taken as part of the normal course of a day. Not all children are academically inclined, however, teachers and parents work closely to boost academic success for all pupils, whatever their academic potential. Senior teachers advise on choices available for secondary education and the September of Year 6 focuses the process of choice, when several children who are to enter the state system of secondary education sit secondary school 11+ entrance tests. During February and March of Year 6, most Independent secondary schools go through the same selection process. We are not selective in our intake and the successes we achieve far outshine any expectations. Academically, Abbey 10 and 11 year-old children usually achieve more SATs at level 5, the average expectation for 14-year-olds, than at level 4, the expected range for 11-year-olds. Several gifted children are also achievers at Level 6. Year on year we gain scholarship awards to public schools and frequently we achieve two or three, and even four times the number of grammar school places expected from a single cohort. Furthermore, at the same time our pupils are gaining distinctions in music exams, winning speech and drama festivals, receiving accolades in swimming, cricket, chess and tennis, in fact, anything they care to turn their hand to. Abbey School provides a learning environment in which all children are successful and where your child may achieve optimally in all areas of development. In effect, our entire educational spread is geared upwards. Even our academically weakest pupils achieve well, and although not Grammar School candidates, with appropriate and systematic educational support most achieve in excess of the national average. The result of an Abbey education is a complete and effective ‘upward gearing’ of all our pupils’ academic achievement levels. There is still more. In the role of true educators, we are at the same time ensuring that all our pupils achieve in areas other than academically. The programmes of academic learning for each year and term are published in the classrooms, along with a weekly timetable, and parents are actively encouraged to support their child’s development. At this, as with all levels of learning, research has shown that children who are supported by their parents do far better and achieve more than those who are not. With teachers and parents cooperating closely, achievable targets are set for children, and reviewed regularly, simultaneously helping children to achieve more and showing them how to succeed by creating realistic goals! What actually happens is that Abbey children are achieving their full potential both academically and in their chosen areas, just as we planned that they should when they first joined our Nursery! At our school, your child will benefit from the influences of the learning environment that we have created in Abbey School. At the end of their time with us, Abbey children leave school ready for the next stage in their life. Children celebrate their success as a matter of course, parents enjoy the success of their children with a hint of pride, and teachers note the success of their pupils as the culmination of a task well done. For your child to be part of this success, first visit us and judge our standards and our achievements for yourself.